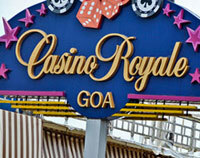 Goa is a small state and a famous tourist destination in Goa on the Konkan coast. 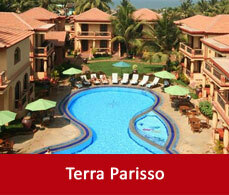 Large number of tourists from India and abroad come here to relax their body on the sandy beaches in Goa. Different beach of Goa will offer you a different and unique experience. For the honeymooners the places to visit in Goa for honeymoon is its extended beaches.The beaches of Goa are very happening with small parties, musics and sport activities and they are also divided among the north and south Goa beaches. Other than the beaches you will be elated to know the culture and heritage of Goa with its buildings, churches and many more. Casino Royale is an all time happening place. 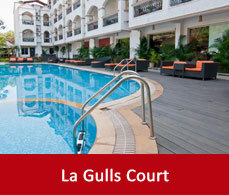 Games, luxury, unique cuisines and royal grandeur are some of the attributes of this place. It is mostly crowded with tourists and the guests during the night when the casino gets dressed in lights and musics transforming it into flamboyant and active platform. 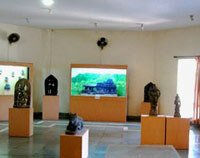 It is among the best places to visit in Goa for youngsters. You can play international games there and your luck might hit a jackpot. You may also dine in its famous restaurants which offers variable range of multi-cuisines that may trigger your taste buds. 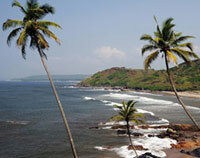 It is one of the famous north Goa beaches. 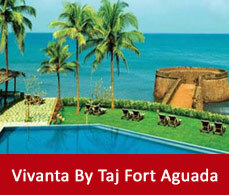 Crowned as one of the most serene and covert beaches of Goa this place will relax your soul from the busy city life. The shacks built on the beaches and the hut restaurants are some of the small enjoyments that you will not want to miss. The blue waters washing the golden sandy beaches with the greens on the small mountains surrounding it make it a place worth visiting. 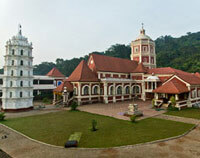 This is the most oldest church in Goa but it represents a true Christian architecture. It is the only church whose outer framework is not plastered. By visiting there you can have a view of Goa’s heritage as it is one of the world heritage monument and can get a feel of Goa’s culture. 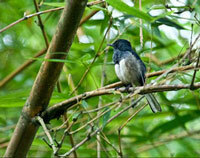 This ornithologist's land is situated on the western part of the island Chorao on the river Mandovi. Here you will be able to experience and to grab the knowledge of various birds. This sanctuary is full of mangrove vegetation. Canals have criss-crossed this land of bod and it becomes difficult to enter this zone during the time of high tide. Visit one of the evidence of mythology, the Shanta Durga temple in Kavlem. This temple is surrounded by hills and as you approached to the temple you come face to face with the paddy fields, coconut trees and white cranes. You will find peace in the silence of the compound of the temple. This is one of the first churches built in Goa. But it was renovated from its first look. The inner architecture of the church is simple but at the backdrop the main altar dedicated to Mary Immaculate is really impressive. 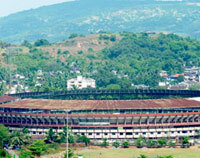 This stadium is also known as the Jawaharlal Nehru stadium is in south Goa. People of Goa have the enjoyment of playing cricket and football in this stadium. International games have also been hosted in this stadium. 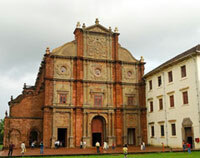 This is another oldest cathedral in Goa which is the evidence of the Roman Catholic rule in Goa. 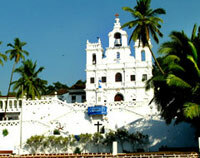 This cathedral is the history and heritage of Goa. 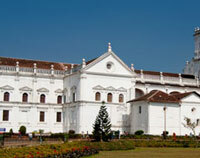 This huge cathedral will give you immense knowledge of the history of Goa.